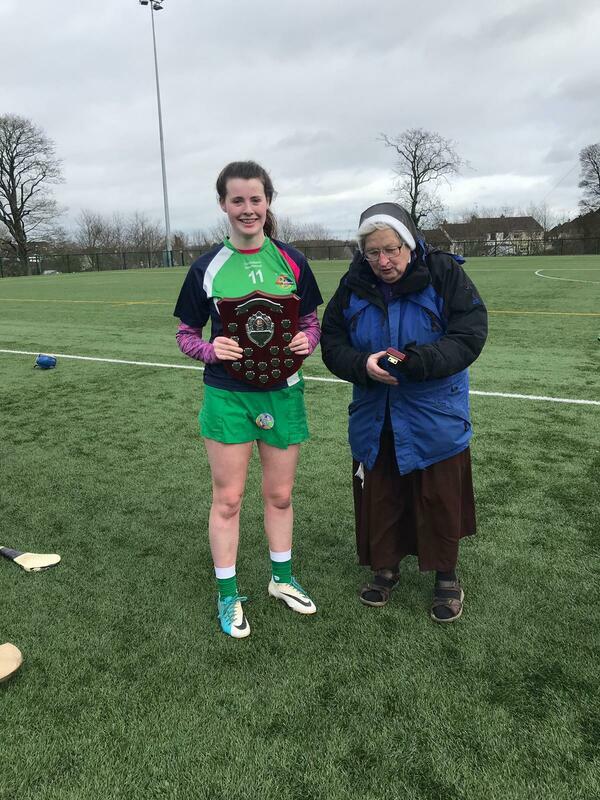 CIARA Fitzpatrick delivered a point from a late pressure free to bring the Junior Development Shield to St Aidan’s Cootehill for the first time after an engrossing final in MUSA yesterday. Coláiste Feirste had come back from a 3-2 to 1-0 interval deficit to draw level with just five minutes left on the clock. They had the momentum but couldn’t find another score, leaving free-taker Fitzpatrick to edge her side over the line right at the death. 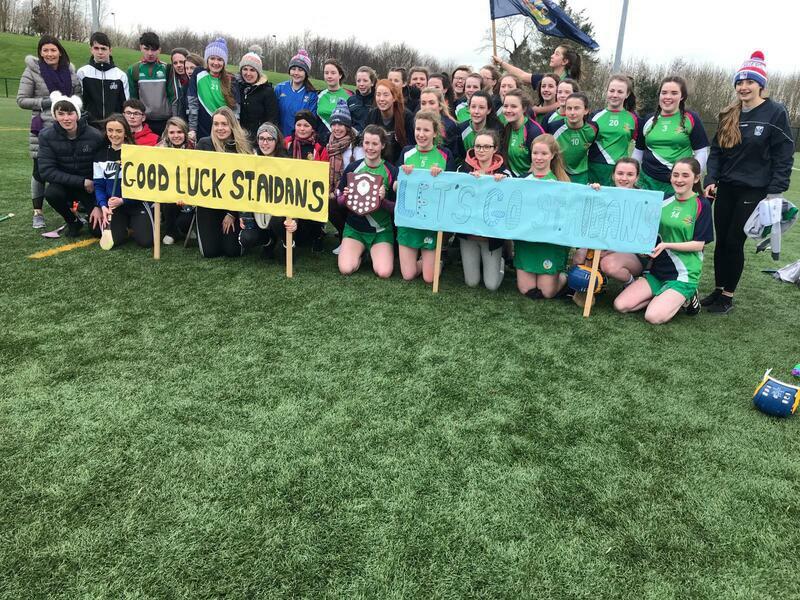 Fitzpatrick was one of the Cootehill stars on the day, along with Ellen Clegg, Sarah Clarke, Paula Tully and Laura Bannon, while Abby Nic Meanman, four goal Bláithín Nic Cathail and captain Siantelle Buiteach had excellent games for Coláiste Feirste who probably missed the presence of top-scorer Tony Leigh Ní Fhionnagáin in Spain with the Northern Ireland soccer team. St Aidan’s had first use of the breeze and dictated the play in the opening half after Ellen Maguire and Sophie Dali had settled them with early goals. 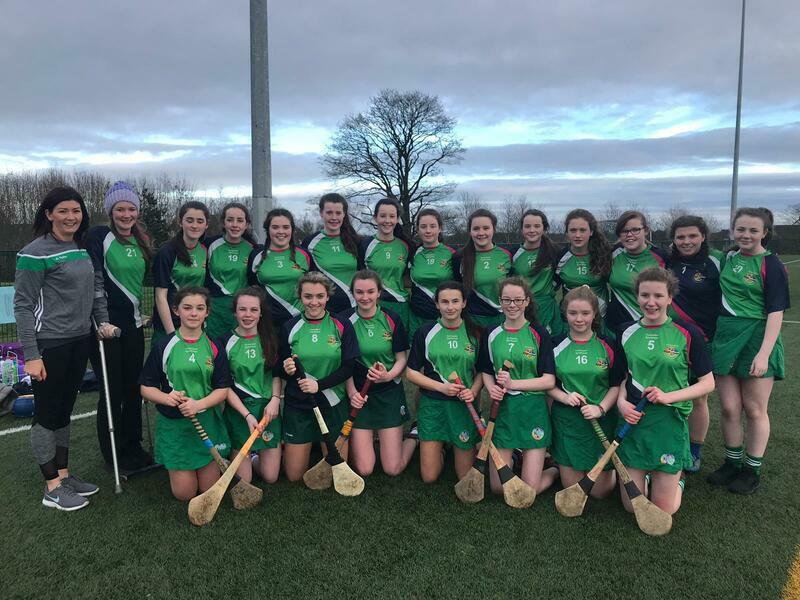 However Coláiste Feirste really dug in and Katie Ní hEireamhaoin’s goal gave them confidence, although the concession of a late goal direct from a Ciara Fitzpatrick side-line was a setback. But with wind advantage to come after the break, a lead of eight points looked manageable enough and Bláithín Nic Cathail put them on the right course with the first of her goals not long after the break. Although she scored a second in the 40th minute, Ellen Clegg pushed the boat out a little further with a 44th minute strike for the Cavan girls. But Nic Cathail completed her hat-trick soon after. And again Ellen Maguire replied with a Cootehill point in the next attack. By this stage it was looking like the Belfast side would win if they could get enough ball into Nic Cathail. She pulled the sides level in the 54th minute with her fourth goal. But Cootehill held tight at the back and were able to muster a late attack from which Fitzpatrick popped over the winner. Back in 1980, St Aidan’s were Ulster senior A champions. However they slipped significantly over the years with camogie only recently revived. Perhaps this success will lead to a climb through the ranks similar to what we have seen recently from neighbouring Ballyjamesduff and Loreto Cavan. 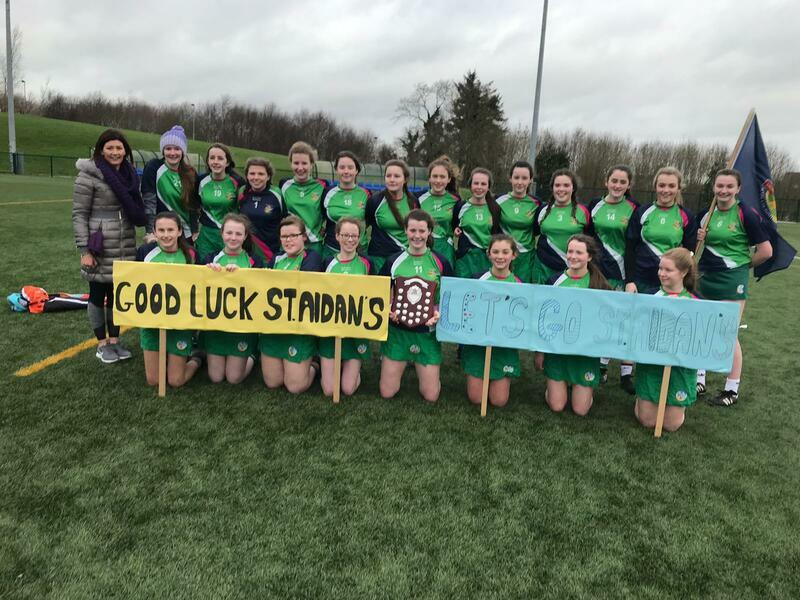 St Aidan’s: S Murphy, T Farrelly, Z Whelan, L Fox, L Bannon, S Clarke, O Markey, C Fitzpatrick (1-2, 1-0 sideline, 0-2 frees), P Tully (0-1), E O’Grady, E Clegg capt (1-0), R Hammond, M Smith, E Maguire (1-1), S Dali (1-0).